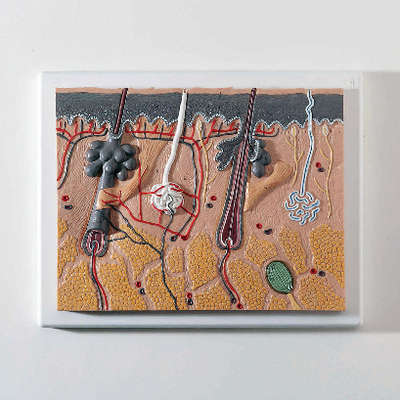 Delve into the inner layers of the human scalp with the colorful, raised-relief model enlarged 70X. The section through three layers reveals hair follicles with sebaceous glands, sweat glands, nerves, and vessels. The model is mounted on a base.